Obituary for Jan M. Ago | Compassionate Funeral Care Inc.
SARATOGA SPRINGS - Jan M. Ago, age 72, passed away peacefully at home on Wednesday, April 3, 2019 surrounded by her loving family. She was born on July 8, 1946 in Queens, New York the daughter of Madeline Jacoby Giordano and the late Peter Giordano. Jan graduated from Suffolk County BOCES School of Nursing with an AAS degree and LPN. Jan was an LPN for many years before she retired in 1995. She began her career as an LPN at the VA Northport Hospital NY Psych Unit. Jan had a larger than life personality, and she loved whole-heartedly and unconditionally, making many friends throughout her lifetime. She proudly, faithfully, and generously supported the Armed Forces as she cared for them at the veteran’s hospital. 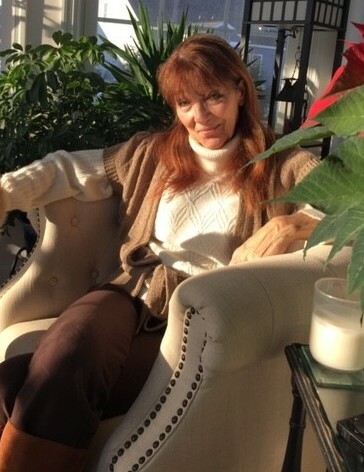 Jan enjoyed Relaxing in her Sun Room (her favorite room) or Backyard Patio with her husband. She enjoyed designing and decorating her homes. Jan also had an incredible attitude in life; be thankful and enjoy every day. This regardless of her health and difficult medical situations. “I cherish every hour, every minute, every second of every day. If it’s raining I know the flowers need water, If it is snowing I know spring is coming, If it’s sunny it’s a wonderful gift. And I am grateful.” In spite of her many medical conditions this was her outlook. She is survived by her husband John Ago of 43 ½ years; son, Michael Famoso; step-daughter, Kim; granddaughters, Tori, Giuliana, Lindsey, Gabby; step-grandson, Hunter; brothers, Ray and Tony Giordano, nieces Emily, Sarah, Mercedes and many friends who will miss her dearly. Family and friends may call from 4:00 pm to 6:00 pm on Saturday, April 6, 2019 at Compassionate Funeral Care, 402 Maple Ave. (Rte. 9 and/or Marion Ave.) Saratoga Springs, NY.